Whenever enchanted land is tapped for mana, its controller gains two mana in any combination of colours. Utopia Sprawl Urban Utopia Wild Growth Dawn's Reflection and even Overgrowth if you're feeling saucy. 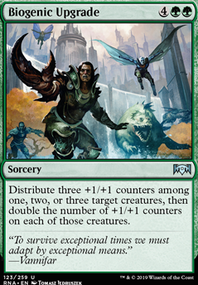 They all synergize with estrid's ability to produce a ton of mana and also ramp you in the early game. Hey, the avg. CMC here is 4.2 that's pretty high you'll want to consider reducing that number to 2.5-3.0. You can speed your deck up by adding ramp and more Enchantresses. One of the best interactions with Estrid are the enchant land Auras. With Estrid's +2 ability you can untap all enchanted lands this can produce a lot of mana for the turn. If you add The Chain Veil and mask it you can make infinite colored mana with Estrid using these Auras. You can then use this infinite mana with a variety of other win conditions. These are not all the enchant land Auras, but these are the best ones with Estrid because they all make ramp, at least one additional mana when the enchanted land is tapped. 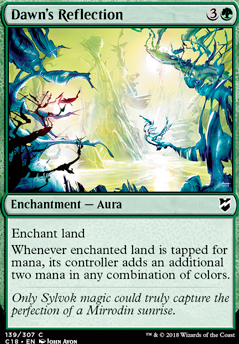 Overgrown, Reflection and Festival make three mana when the enchanted land is tapped. 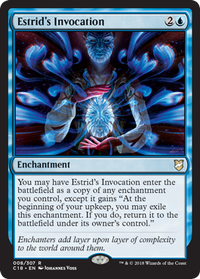 Hey, looks good, but you've left out one of the best interactions with Estrid, enchant land Auras. These let you generate lots of mana thanks to Estrid's +2 ability of untapping all enchanted permanents. These Auras are also good with the pillowfort strategy since this strategy requires a lot of mana as well as to take advantage of having more mana while your opponents stuff is tapped down. 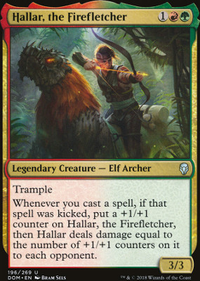 They're also good with Enchantresses for draw since they're enchantments. A nice interaction with these Auras is to get value from Estrid's +2 the turn you play her if you have some lands that are enchanted. Root Maze is quite powerful with Estrid's ability to untap enchanted lands or make any permanent (land) be enchanted. With these Auras Maze disrupts your opponents much more than it does you. You're not playing very many artifacts either which is good with Maze. These are not all the Auras, but these are the best ones for making ramp with Estrid. They all create at least one extra mana when the enchanted land is tapped. Overgrowth, Reflection and Festival make three mana by tapping the land they're enchanted with. You may take out the less synergistic cards of your deck: Altered Ego, Hundred-Handed One, Krond the Dawn-Clad (it's really hard to make on curve in a 3-color deck without shock and fetchlands), Seedborn Muse (your deck only has 3 instant spells), Spear of Heliod (only destroy creatures that already dealt damage - you might be dead at that point). 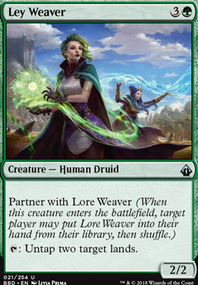 Since you have a 4-mana commander, I recommend Abundant Growth, Burgeoning, Wild Growth and Overgrowth instead of Dawn's Reflection to ramp into her. Estrid, the Masked will stick longer the sooner you cast her. 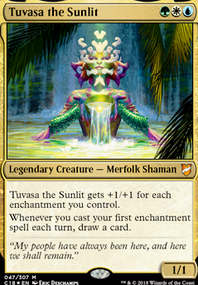 You might also consider switching to Tuvasa the Sunlit to have Enchantress-like draw power available right from the command zone. Hey, consider adding more good ramp? The avg. CMC here is 4.5, that's very high without having a lot of ramp. Dinos can benefit from lots of ramp because most have high mana costs. Zacama is also nine mana.